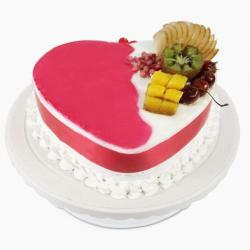 Product Consists: 2 Kg Heart Shape Mix Fruit Cake from Five Star Bakery. 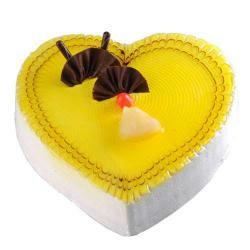 Five star bakery mix fruit cake is full of tangy richness and freshness of Mix fruit cream in heart shape. A spongy cake layered with soft cream and topped with fruit will make an ideal treat. 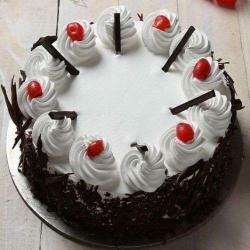 Giftacrossindia.com brings you this super-delicious cake of 2 Kg in weight is loaded with full of seasonal fresh fruit slices. 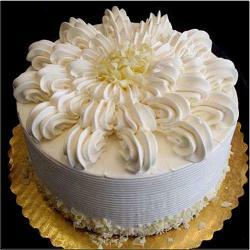 This cake layered is sweetened whipped cream on a soft and spongy base. This mouth-watering delight is perfect to celebrate all kinds of special occasions. As like 1st meeting anniversary, 1st month engagement anniversary, Graduation, Apologies gift, Best friend forever, Valentine Day, Boss Day, Teacher Day, Parents Day, Grandparents Day, festival like Pongal, Ganesh Chaturthi, Easter, Eid-Al-Adha, Raksha Bandhan, Bhaidooj gift and may more than you likes. 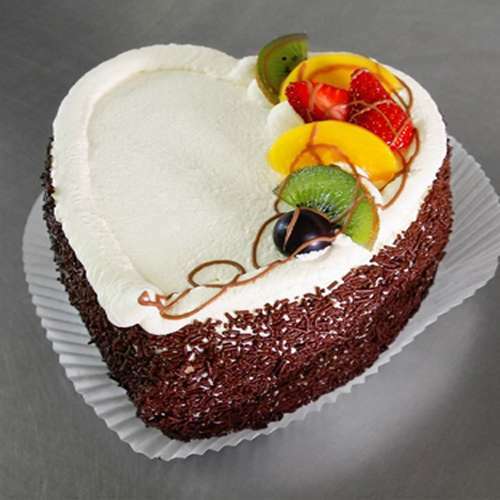 Product Includes : 1.5 Kg Heart Shape Mix Fruit Cake from Five Star Bakery.